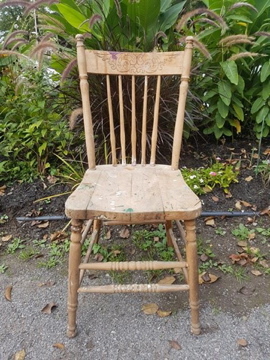 This sweet antique chair is full of personality! 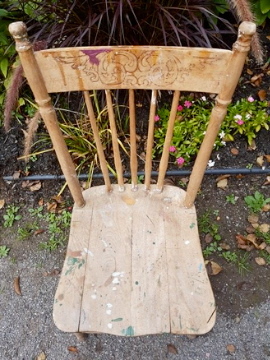 It has spindle legs, a beautiful pressed design on the back, and a few paint drips for added charm. $45.